We are easing back into a regular schedule for EatDrinkFilms. As Pixar prepares to launch The Good Dinosaur, their second movie in 2015 following the summer success of Inside Out, animation expert Karl Cohen reports on the troubled journey getting the movie made that started it all 20 years ago, Toy Story. 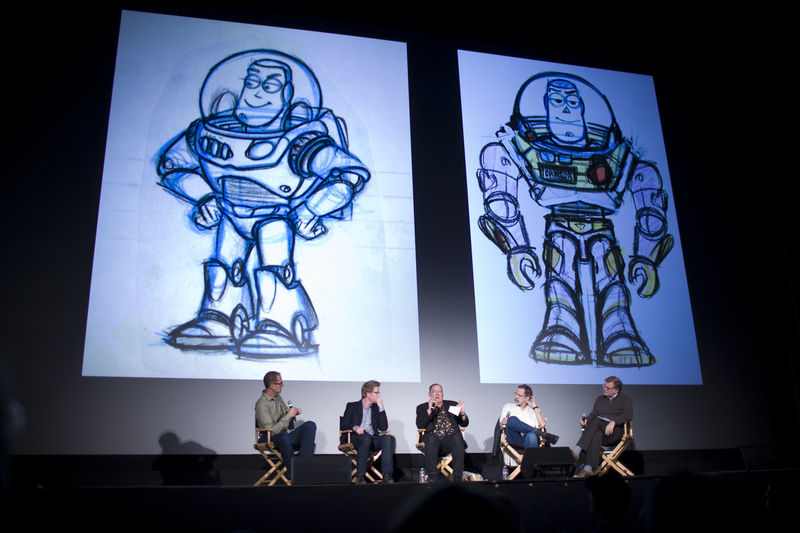 His article is accompanied by photos from the 20th Anniversary celebration and rare clips. Thanksgiving is less than a week away. As you plan your meal, consider Pecan Pie as a dessert. Diane Boate’s Baker’s Dozen column offers a very tempting recipe. There is an ongoing discussion about the how few women are given the chance to direct feature films. Though half of all U.S. film school graduates are female, only 5% of them are actually making Hollywood films. A few successfully worked in the silent era (Mary Pickford, Alice Guy-Blaché, Lois Weber) but as sound films came along women disappeared from behind the cameras. 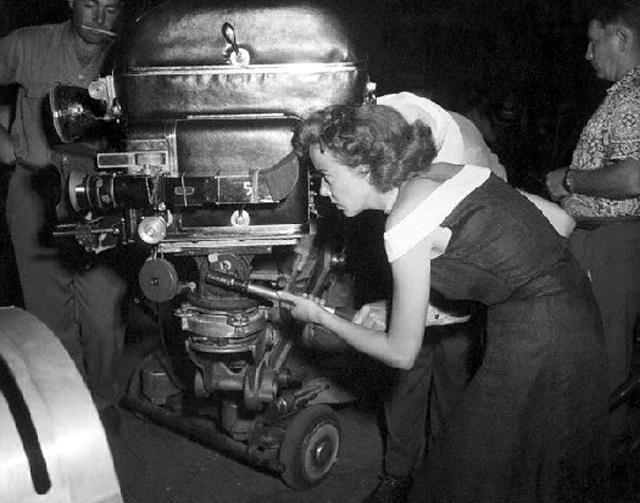 In 1949 actress Ida Lupino stepped in to complete a movie she had written when its director had a heart attack. And thus launched a second career directing six distinctive features and dozens of television shows. Film critic Ruthe Stein looks at Lupino’s career to prepare you for a double feature of two of her best this Sunday at San Francisco’s Balboa Theatre. Admission is free. 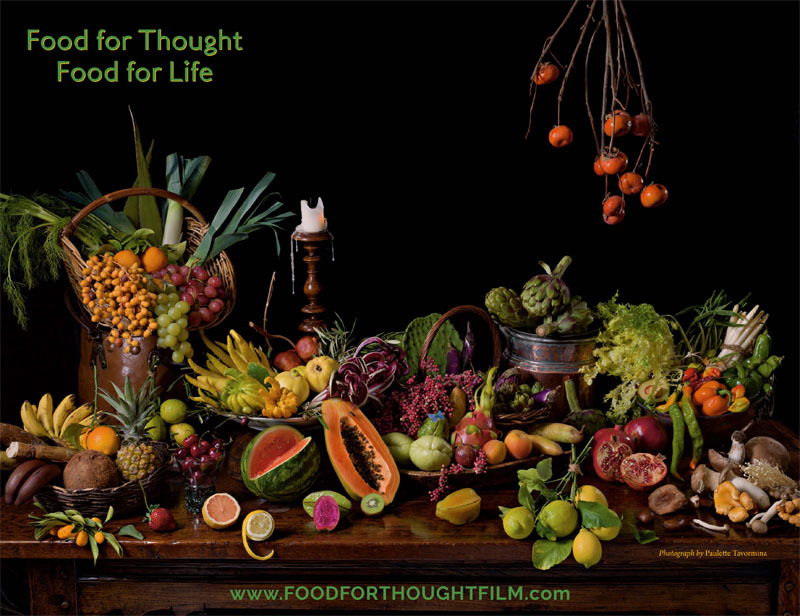 At the recent Food Day/Film Day one of the featured short films was Susan Rockefeller’s poetic Food for Thought, Food for Life. This week you can watch it for free as part of our Eat My Shorts series. And learn how to host a screening for friends and neighbors. We wish you a wonderful Thanksgiving and suggest that you consider helping those less fortunate by volunteering or donating food to a food bank for shelter. And then make it not a holiday tradition but something you can do throughout the year. Watch for the next EatDrinkFilms on Friday after the holiday.